There may come a time when you need to change your podcast feed from one address (e.g. example.com/old/feed/) to a new address (e.g. example.com/new/feed/). When that day comes, we hope you read this page first. Your feed address is as important as your phone number and your physical mailing address. Once you start handing out your feed address, it will be referenced by websites, news feed readers and podcatchers (like iTunes Podcast Directory) & apps indefinitely. For this reason, we always stress you should host your feed on a web site (domain name) that you own, that way you have 100 percent control of that address. There are two primary ways to change your feed address. The first and most ideal method is to use a Web-based HTTP 301 (permanently moved) redirect. The redirection does as it implies, redirects the old address to the new one letting the client know the change is permanent. The second method is called “iTunes New Feed URL”. The iTunes New Feed URL is an alternative method that works primarily for Apple’s iTunes application only, and should only be used if you are unable to implement a HTTP 301 redirect. VERY IMPORTANT: The 301 redirect needs to be in place for your old feed address. Many times we find that podcasters put the redirect in place at the new address, which is incorrect. The 301 redirect requires you to have some basic knowledge of Web-server technology. Depending on your web hosting service, you may be able to use a graphical interface in your Web administration control panel. If this is the case, then the steps you need to take are easy; simply enter your old feed address as the “old” or “source” address, and enter your new feed address as the ‘new’ or ‘destination’ address. Last, make sure the redirect is using the “301 moved permanently” method. If you don’t have an easy way to implement a 301 redirect, then you may have to use one of the two methods that follow. The more common way to implement a 301 redirect is via a file stored in your web server’s root folder called .htaccess. The .htaccess file allows you to enter specific rules to tweak how your web site is configured. At this point if you need help creating or uploading files to your web server, we recommend contacting a friend or Web administrator for assistance. If you do not have a .htaccess file in the root folder of your web site, then all you have to do is create one. If you do already have an .htaccess file, all you have to do is edit it. First, create a .htaccess file and place it in the root folder of your Web server. The root folder is the highest level folder, the contents in this folder can be directly accessed by typing in your domain name + file name with a slash separating them. For example hello.html file in your root folder would be accessible at www.example.com/hello.html. Next, you need to add some code to the .htaccess file in order to perform the redirection. Below is an example. You may need to modify based on the location of your current (about to be old) podcast feed address. The RewriteRule line is what makes the redirect happen. The first parameter ^path/to/feed will redirect both oldsite.com/path/to/feed as well as oldsite.com/path/to/feed/. It is very important you do not end the path/to/feed with a slash so both situations forward correctly. The second parameter http://www.example.com/new/feed/ is the new address you want the feed to point to. The last parameter [L,R=301] tells the web server that if this old address is requested, it should be treated as the last (L) rule and the rest of the rules in the .htaccess file do not need to be processed and that the redirection (R) should be 301 permanent. If you already have a .htaccess file in the root folder of your Web server, then all you may need to do is add a line. If you open your .htaccess file and it already has lines similar to that found above, then all you need to do is add the following line directly below the RewriteBase line. If you have WordPress, you may already have an .htaccess file. If so, you can use the following example as a guide. Not e the additional RewriteRule line just below RewriteBase line. VERY IMPORTANT: The 301 redirection needs to be done on the server where the old feed was. This tag will let the iTunes Directory and your listener’s iTunes client software know that the feed has changed and where your new feed is. 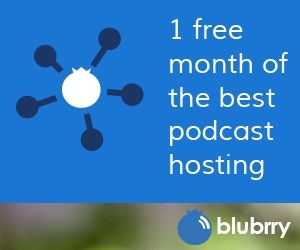 This method will only work with Apple Podcast Directory and Apple Podcasts app. If you want to be sure everyone subscribed gets the new feed, use the 301 redirect method above. Whichever method you use, You should leave the tag or the redirect in place for at least a month, or indefinitely if possible. Apple recommends setting the <tunes:new-feed-url> setting in your “new” feed when using the 301 redirect method. For example, if your new feed URL is https://example.com/feed/podcast/, then Apple recommends to set your <itunes:new-feed-url> to https://example.com/feed/podcast/. Note this points to itself and is meant to be an addition notifier for the iOS Podcast app to update the feed URL to this address in n the event the iOS Podcasts app does not interpret the 301 redirect. How long do we maintain the 301 Redirect and iTunes new feed URL? To ensure that most subscribers receive the new feed URL, maintain the 301 redirection and/or the <itunes:new-feed-url> for at least 1 month if not indefinitely. The Apple Podcasts <itunes:new-feed-url> should be maintained for 1 month.